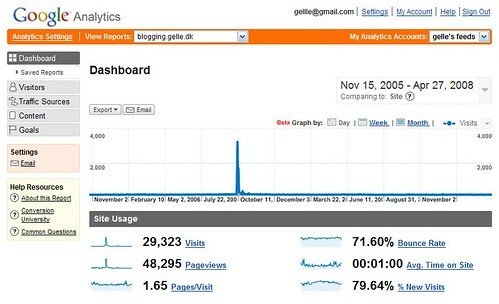 24th of April 2005 – 3 years ago – I started blogging here. Back then I started blogging and did it in Danish because I was going to do an internship in US for one year and wanted an easy way to keep a travel journey and keep friends and family updated. About August 2006 I switched to English since I was moving back to Denmark and I decided to leave it at that. Check the archive if you want to see previous posts. I started using Flickr at the same time. 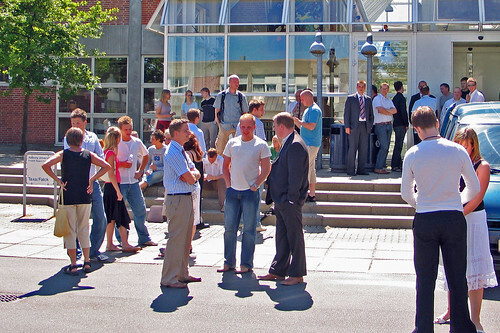 Above is the first picture there which is from my graduation from Aalborg University June 2005. Since then I have uploaded 5,226 pictures or 33.5 picture per week. My most viewed picture on Flickr is the guy with the grillz. My most interestingness ed picture is a panorama of the Big House in Ann Arbor. 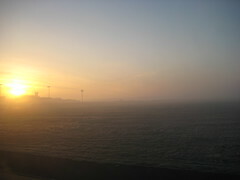 I left Prague in snow and flew the next morning from Bremen on a freezing, misty morning. And arrived at Malta a few hours later. Heres the tiny Maltese island of Comino as it looked on the approach. Wikipedia claims there are only four permanent residents but there is also a 100 room hotel and the Blue Lagoon so in summer time its a bit more crowded. 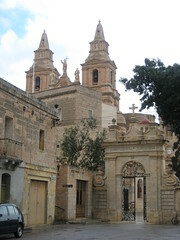 Last time I was in Malta I only had 4 days there and everything was new and different. This time around I knew what to expect and I was there for a week which gave me a better chance to take it all in. In the meantime I also had a chance to learn more on Malta, the history and follow a few of the local bloggers to get a grasp of what Malta is all about. A couple of my favorites are the politician and economist who tracks everything Malta online, the Salvadorian who married a Maltese, the Peruvian, the newlywed, the German in Gozo and the pregnant Danish couple. Malta is really seven islands were only the three biggest, Malta Island, Gozo and Comino are inhabited. 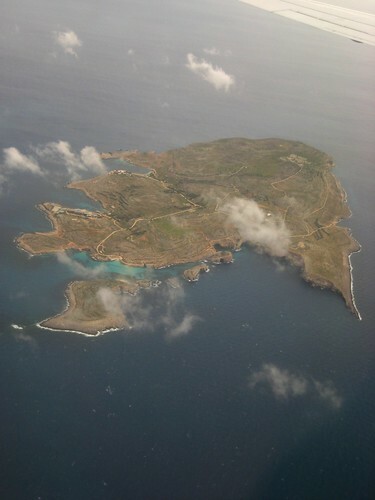 Comino is the small island I flew over in the beginning. Malta Island is the big, main island and Gozo is the little brother to the northwest – this was where we were heading. 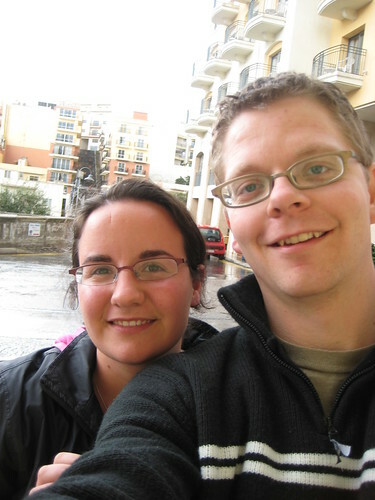 Before we crossed over we made a stop in Mellieha where one set of Anns grandparents is from. Next to the parish church on the picture was a small sanctuary with lots of letters, photos, crutches, casts and other items sent from people who thanked Our Lady for all sorts of miracles. 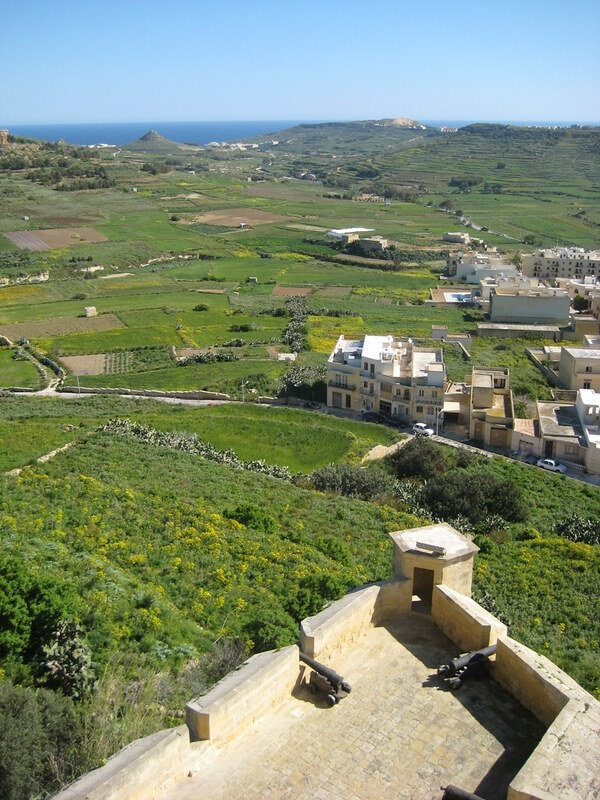 I later realized that Mellieha also is the place of The Danish Village a resort own by the Danish Folkeferie.dk. 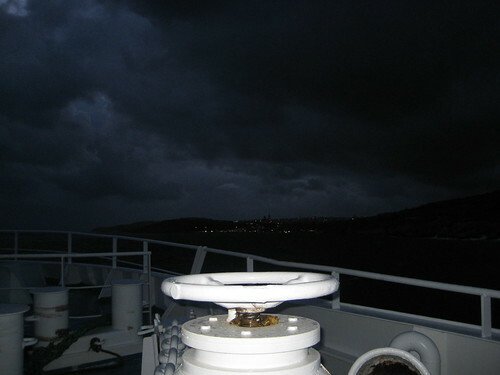 As we were crossing over the strait to get to Gozo the weather had turned for the worse so the sea was a bit rough. Here we are approaching Marr the only habour on Gozo. One of Anns aunts have an apartment on the island and was kind enough to lend it to us. 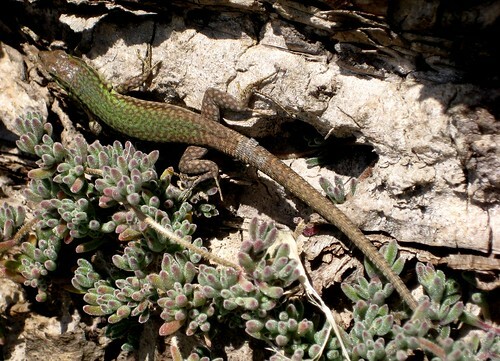 The next day the weather was great and we went out to explore the beautiful island of Gozo. The first picture below is the view from Gozos Citadella in the middle of the island. 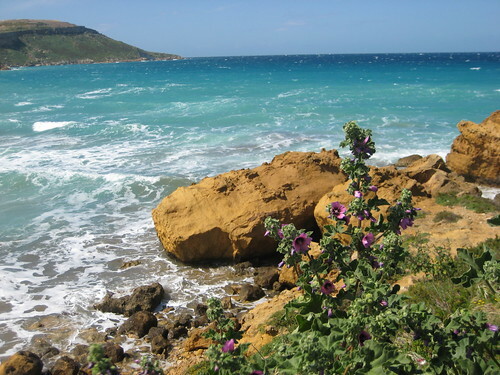 place, this island is Gozo, also known as the island of Calypso. A calm, clear, deep blue water surrounds the island. This relatively unknown island may be small but it is rich in culture, history and beauty.